The Harold Pinter Theatre's 1881 interior is one of the oldest in London and one of the most charming, in spite of the damage wrought by an ill-considered restoration in 1954. The Renaissance-style auditorium, with its wooden panels, and gold ceiling and wallpaper, still retains many original features, while the unpretentious exterior is the most attractive and unspoilt among London's smaller theatres. 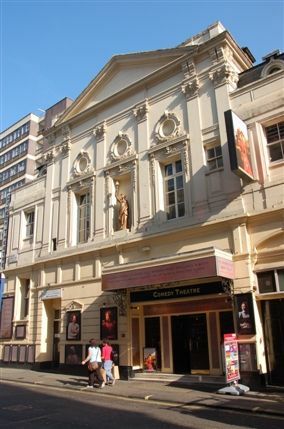 Though in its early years it lived up to its name, the theatre has become known more recently for high-quality drama, notably the works of Harold Pinter (hence the name) - five of which have been performed here since 1991. Its reputation for daring comes from the 1960s, when it exploited loopholes in the censorship laws to show banned American plays. The Rocky Horror Show made its The West End debut here in 1979 and more recently it has been home to a critically acclaimed revival of RC Sherriff 's powerful First World War drama Journey's End.